His mind and body are one. 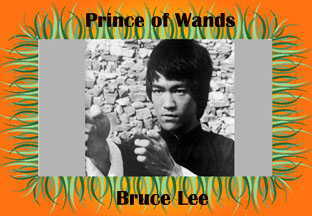 The Prince of Wands combines mysticism with power. He is keenly aware of all of his bodies, not just the physical one; he uses them as tools. He is self-assured to the point of cockiness. Bruce was showing off his martial arts at the The Bruce Lee Archive.